This is supposed to be the second set of trading figures to be released but unfortunately got cancelled. Getting hold of these figures seemed really hard at first but definitely not impossible. Before the Groundbreakers was cancelled, some stores have gotten stocks of the starter sets Whirlwind and Skydive which contains a couple of figures from the set. Therefore, there are only 8 somewhat officially released figures of Groundbreakers to date, the rest are possibly from exhibits and prototypes. I consider all of the figures from Groundbreakers to be a grail of mine since it never came to my mind that I will ever be able to acquire any of these. But alas, after years of looking everywhere the Groundbreakers set is finally complete. It wasn't easy and definitely very expensive. But accomplishing something legendary in the world of collectors is something I can be really proud of. Notes : Armaldo has a very dynamic pose. Those floating rocks are really my favorite which are also featured in some other great figures like Geodude and Steelix. It is one of the more recent acquisitions when I won Armaldo and Spinarak from white_chocobo's many auctions. Notes : Blastoise is part of the loot in my great Groundbreakers hunt on the internet. 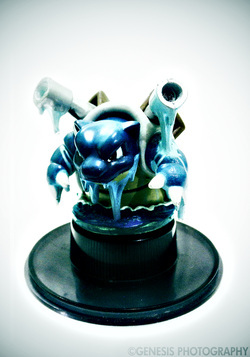 As with others of its kind, I have never dreamed of figures such as Blastoise to grace my collection. But here it is! 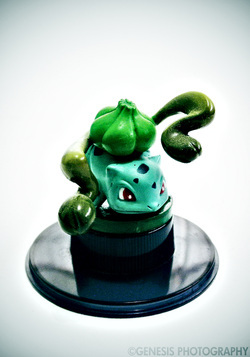 Notes : I was surprised to see Bulbasaur for sale one day. It's really one of my sought after Groundbreakers figures. 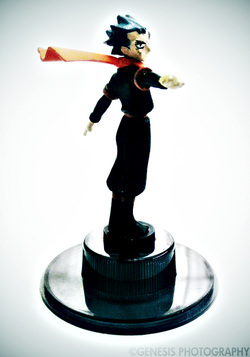 And I'm really really proud to be one of the owners of such a great and rare figure. Notes : In my many attempts to buy a Cacnea I had always failed. It was so near and yet so far. But then one day I saw one from another seller and before I knew it Cacnea stands proud together with my other Groundbreakers. 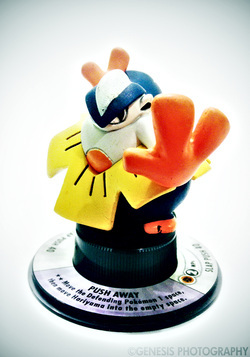 Notes : I first laid my eyes on an actual Cyndaquil figure when psy_man won an eBay auction with lots of rare Groundbreakers figures! I was dying in envy! 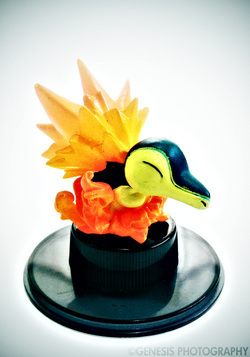 Cyndaquil with its flames is one of the very majestic and beautiful figures around. I dreamed of the day I will get one someday. And then one day white_chocobo offered one to me for a trade, I did everything I could to go through with the trade. That's why white_chocobo has been very essential to my collection of Groundbreakers figures. 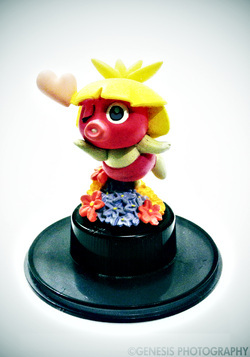 Notes : Elekid was one of the harder figures to find in the early discovery of Groundbreakers figures. 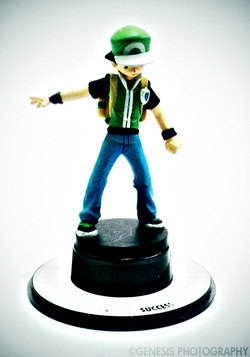 Many people were searching for it including the Electric Pokemon collector denkimouse. She was actually one of the first people to get it and at that time it was very expensive. 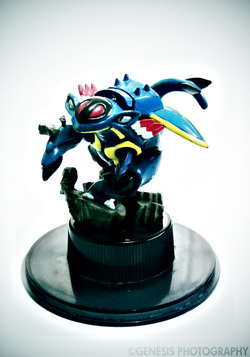 However, early 2013 a lot of Elekid figures have been spotted. People were all getting them as they have suddenly become common. Of course I was one of the many who got one. Notes : Would you believe that this Flaaffy is just a duplicate? Yes that's right. Thanks to the talented hands of psy_man, he was able to find a way to replicate Flaaffy. He then traded the original one to member of PKMNCollector. He kept copies of the best ones that he was able to make and I was one of those who bought it from him. I had my artist friend paint Flaaffy and I am very pleased with the result! Only thing that could have been better was if the tail is transparent like the original. Still it is one of my prized figures. 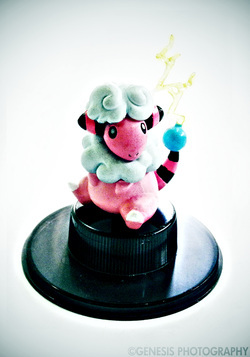 Notes : This is the original Flaaffy Groundbreaker figure. As you will notice it has a lighter color compared to the duplicate one. 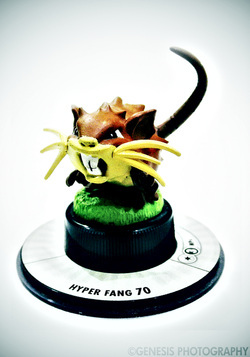 Its tail is also lighter and the electricity on it is made of clear plastic. It is the last figure bought to complete the legendary Groundbreakers set. This of course is one of the many figures from white_chocobo. 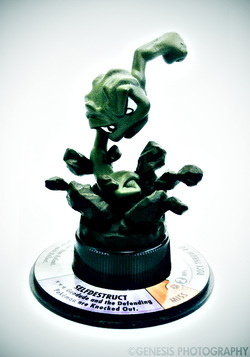 Notes : Geodude was my very first Groundbreakers figure. It was won in an eBay auction along with some other figures. 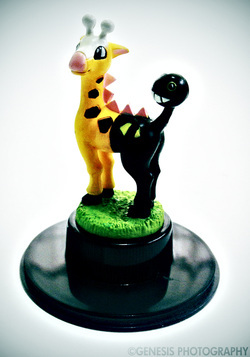 Notes : Acquiring Girafarig from white_chocobo's TFG auctions made me realize how crazy I am for these figures. You've no idea how much money went to this rare little one! Thankfully white_chocobo was very considerate with my situation. No matter the cost (I really try to forget), it's all worth it if it's for the completion of the set. Notes : Hariyama was received from a trade with greytotoro of pkmncollectors. I traded the zukans (scaled figures) that were given to me by my friend as a birthday present so I consider this very important. 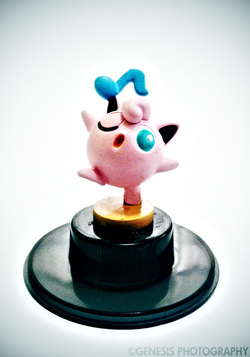 Notes : Jigglypuff is also part of the amazing acquisition of Groundbreakers figures. I have mamath of PKMNCollectors to thank for the heads-up! Though I am quite disappointed with how Jiggly's foot was connected to its base. Notes : Kabuto was part of the epic discovery of PKMNCollectors's denkimouse. 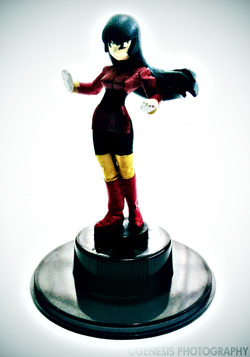 She held an auction with a couple of baseless Grounbreakers figures all of which were impossible to find. I won Kabuto together with 2 others at a pretty hefty price. But it's all worth it. Notes : I never thought I'd be able to get Kadabra. There was this seller who I tried to buy it from but then said it was out of stock. It really got me down. And then a few weeks later I just randomly tried again and lo and behold! Glad I was bored! 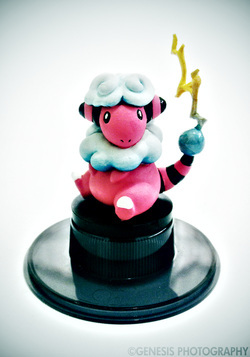 Notes : Lairon was one of those figures obtained from the epic auction of denkimouse in PKMNCollectors. 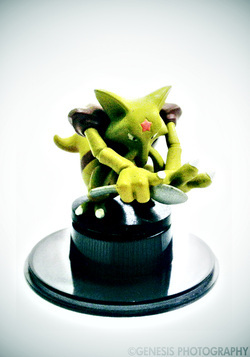 The auction contained never before discovered Grounbreakers figures and one of which was Lairon. Though expensive, it was worth every single penny. 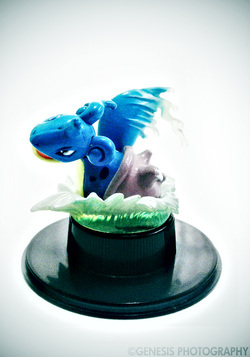 Notes : Lapras was bought from eBay without its base together with Larvitar and Metagross. A friend from PKMNCollectors, mamath, helped me find them. 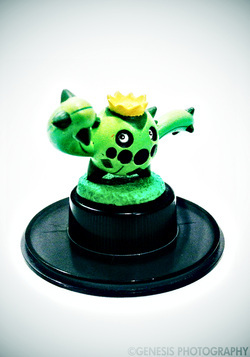 Notes : Larvitar was acquired without its base together with Lapras and Metagross from eBay. 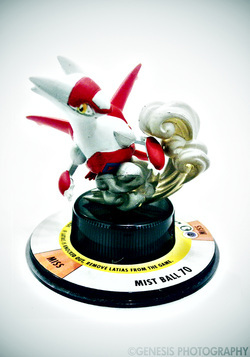 Notes : To my surprise, I actually found a Whirlwind starter set in eBay to which Latias belongs to. It was quite an amazing twist as I never thought I'd be able to buy a whole starter set of Groundbreakers. 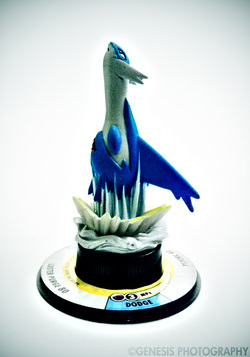 Notes : Latios was received from a trade with kyogres of pkmncollectors. It was the second Groundbreakers figure I got which I thought was impossible to get. 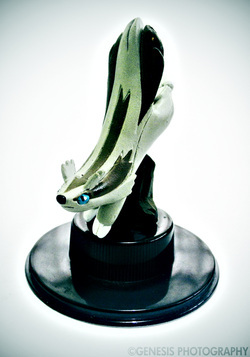 Notes : Linoone, like Mightyena, is pretty popular with collectors though I'm not so sure why. And that means that this is figure is really sought after and is worth a lot so I am very proud to have one in my collection. Notes : This is one of the most recent acquisitions for my Groundbreakers collection. 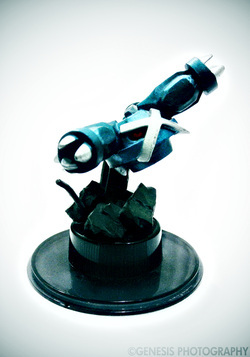 And like many, it starred in one of white_chocobo's great TFG auctions. It was a tough match between me and fellow collector kingrarium. I was really tense and stressed at that time because power was not stable in our area. I couldn't really lose the chance to get Mankey. 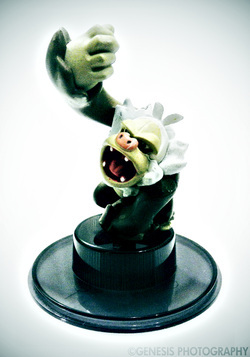 After almost an hour of bidding against one another, I finally claim victory on Mankey! 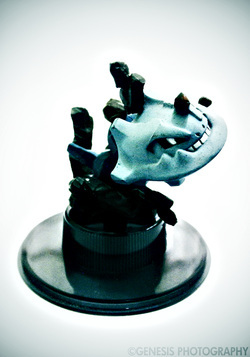 Notes : Metagross was acquired without its base together with Lapras and Larvitar. 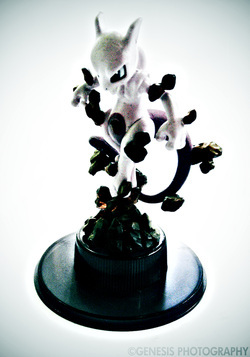 Notes : Mewtwo, just as it was in the game, one of the rarest Pokemon trading figure to exist. They are very very expensive. This figure came from one of the most legendary auction hosted by white_chocobo. I tried but of course Mewtwo was out of my reach. 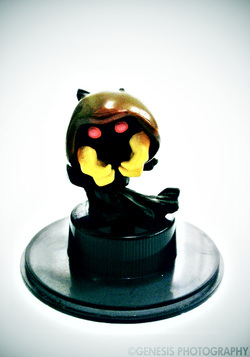 However, something happened with the winning bidder which opted the re-auction of the elusive figure. I won it after an intense bid war. It took me a very long time to pay it as it was won in a ridiculous price. Worse, it got held up in our country's customs department which delayed its arrival even more. But fortunately, it has finally joined the ranks of my Groundbreakers collection. 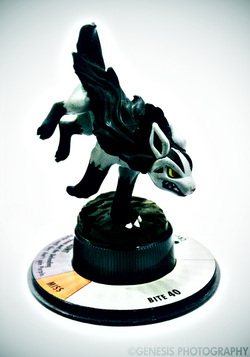 Notes : Mightyena was also obtained from a trade with kyogres. It is one of the highly sought after Grounbreakers figure and I feel very privileged to have one. 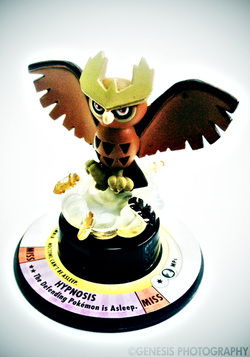 Notes : This Noctowl is probably one of my grail Groundbreakers. (They're all grails but this is one of the grails of grails!) 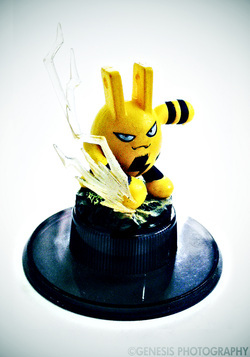 This beautiful figure belongs to my friend and fellow collector psy_man of PKMNCollectors. It is quite unfortunate that he had to sell most of his collection for personal reasons but I am very very glad that out of the hundreds of people that would want Noctowl he entrusted it to me. Thanks my friend! I wish you all the best in the new path you've taken. I'll cherish and treasure Noctowl for sure! 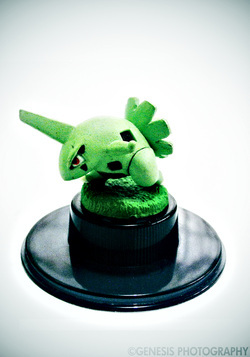 Notes : Poliwag was one from one of the many auctions white_chocobo held in PKMNCollectors. Lucky guy! 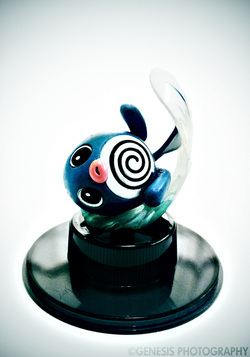 I was really glad to have won Poliwag (you've no idea how stressful those auctions were!). However, it unfortunately has lots of marks and I was well aware of it. I'm having trouble removing them but hopefully I'll find a way to restore it to its former glory! 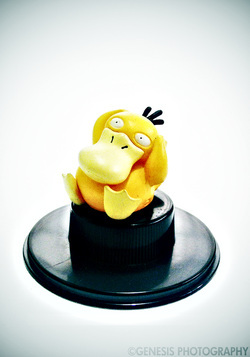 Notes : I really like Psyduck even if it has a very simple pose. So simply cute! Psyduck came with other Groundbreakers figures that were acquired during my great hunt on the internet. Notes : Raticate was also from greytotoro when he decided to give it to me after Hariyama came back to him as an apology for the delay. I am very thankful for it. 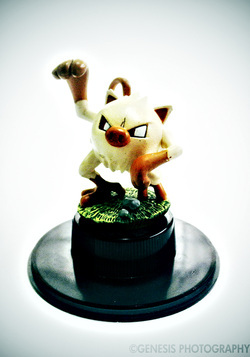 Notes : Slaking was accidentally found while browsing eBay Sweden without its base. The seller only ships to Europe so I asked the help of kyogre2604 of pkmncollectors to be a middleman for me. So I am very thankful to her for helping me get this grail of mine. Notes : Smoochum is not as popular as other Pokemon out there but I've gotten a liking to this one because of how colorful and detailed it is. Smoochum is also part of the great Groundbreakers hunt. 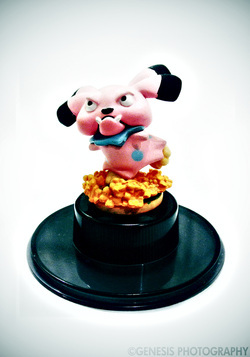 Notes : Snubbull is one of the many pink Pokemon in the Groundbreakers roster. It came with the other Groundbreakers figures and it would seem that Snubbull is one of the more common to find. Still that doesn't make it any less valuable to be part of my collection. 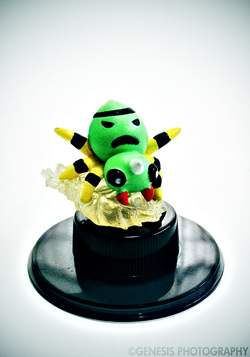 Notes : Spinarak is small but no doubt one of the most interesting figures of all. It's really great how Kaiyodo interpreted Spinarak who most of the time have figures/toys/illustrations of the same pose. Thanks goes once again to white_chocobo for the chance to have a figure like this. I wish I can go to Peru!! 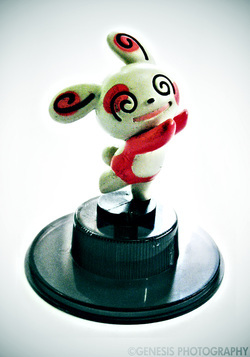 Notes : Spinda is one of the last figures I needed for this collection and one of the most annoying to get as well. I've had several tries to buy one online but always gets sold out. Finally a good friend of mine, kingrarium, offered one to me. And now it dances crazily with the rest of my collection. Notes : I have always wanted a Steelix. It's one of my most coveted out of the Groundbreakers figure. 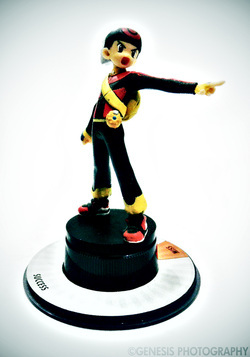 The one that denkimouse had for auction went up so high I could not afford it even if I wanted to. Too bad she didn't have any extras. There were a few times I tried to get one myself but then I failed. It was only through random search that I found another one. I didn't get my hopes up so I won't get disappointed. And yes I wasn't. 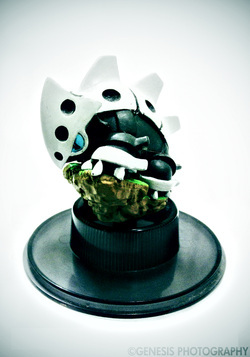 Steelix being part of my collection is just too good to be true. 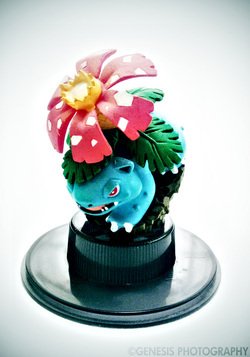 Notes : Venusaur is just really one of the most epic Groundbreakers out there. Never did I dream that it will be part of my humble collection. Thanks goes to denkimouse of pkmncollectors for discovering them and offering them to collectors such as me. I don't and will never regret the decision of buying it. 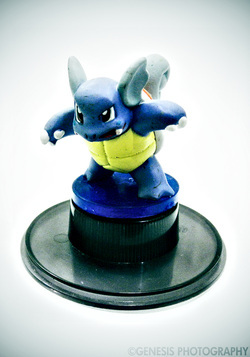 Notes : Somehow I am thinking that they should have made Squirtle instead of Wartortle but I don't mind that much. Wartortle is still really nice and I really like its tail. It arrived with Blastoise and many others from the great Groundbreakers hunt. Notes : I'm not really a big fan of Wobbuffet but anything Kaiyodo is great, I think. 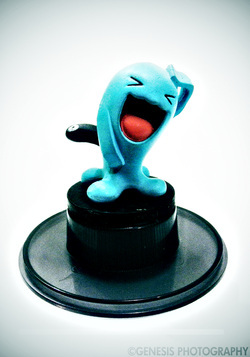 There's probably not too much variety in Wobbuffet's poses so I'm fine with it. Notes : Xatu came from a trade with white_chocobo of pkmncollectors. Initially it's not really in a good condition, good thing I was able to find someone restore it to the way it is now. 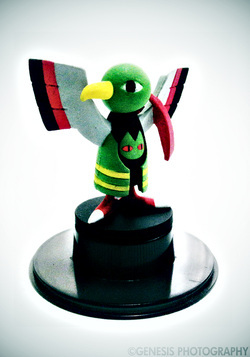 I am really really happy with the result because Xatu looks good as new. 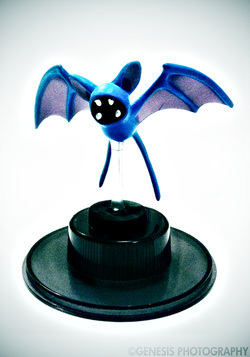 Notes : Zubat is similar to Ho-oh, Spearow and Darkrai because it only has a thin plastic peg to stand on making it very very fragile. Though unlike others it is lighter so the risks were lower. Still I was very glad when it arrived here unharmed from the great Groundbreakers hunt. Notes : Koga probably is one of the most popular and therefore one of the most expensive TFG there is. Along with Sabrina, they're really elusive and very sought after. I'm eternally grateful to white_chocobo who agreed to trade Koga to me. Notes : I suddenly woke up from sleep in the middle of the night and I can't go back to it so I decided to do some surfing. It was only by chance that I saw Sabrina in an auction site and I was really thankful I didn't decide to sleep! Really worth it! Notes : Landon was obtained together with Latias from the Whirlwind starter set bought from eBay. I lost one in an auction before but am glad I didn't win it and spend a lot for just one figure. Notes : Green was the last of the officially released Groundbreakers figures that I acquired. It was actually bought before but only arrived recently because I had it shipped to my parents who are living in the US to save shipping.